Recently, for our 20th wedding anniversary, my wife and I visited Rome, Italy. It’s an incredible city, absolutely packed with history. As someone who loves history, I was enthralled. “ecclesiolatry”). It seemed that everywhere I looked within the Vatican I was reminded, by virtue of the papal insignia, of the preeminence and supreme authority of the Pope and Catholic Church. If you are unfamiliar with the papal insignia, it consists of two crossed keys – one gold and one silver – tied together with a rope, and topped with a triple crown. You can see an example of it within the Wikipedia entry for the subject. The keys represent those given to Peter by Jesus and are the keys of loosing and binding both in heaven and earth. 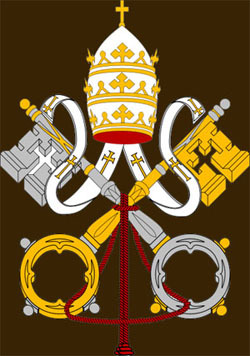 The triple crown symbolizes the Pope’s triple power “as ‘father of kings’, ‘governor of the world’, and ‘Vicar of Christ'”. The ubiquitous insignia within the art and architecture of the Vatican buildings clearly is intended to communicate the preeminence of the Pope’s authority, and throughout history, that authority was wielded to enforce the dogmas and creeds of the Catholic Church. As I was on the tour I couldn’t help but draw correlations between the trappings of authority within the Catholic Church and a similar emphasis within the LDS Church, where the keys and authority of the First Presidency and Quorum of Twelve are consistently emphasized. I considered that, in both cases, the expectation of obedience to that authority is utilized to enforce a particular set of dogmas within each respective church. I understand the need to provide some sort of structure and management of church affairs, but, at least in the case of the LDS Church (I’m less familiar with Catholic culture), it seems to me that the expected obedience to authority creates a culture where differing views are not well tolerated, impinging on the agency and spiritual growth of individual church members as well as the greater religious community itself. I reflected on the admonition contained in D&C 121:41, “No power or influence can or ought to be maintained by virtue of the priesthood…” and could not help but think that our rhetoric on authority often times runs afoul of that counsel. As I read through the list of virtues that follow that admonition, I am struck by how challenging they are to cultivate in oneself, and that, if one is to do so, one must have a healthy dose of skepticism of one’s ability to adequately differentiate between God’s will and one’s own. How often have our own biases been conflated with the will of God? I would submit that many of the problematic themes within our church’s history can be distilled to a hubris where we believe we fully understand God’s will. 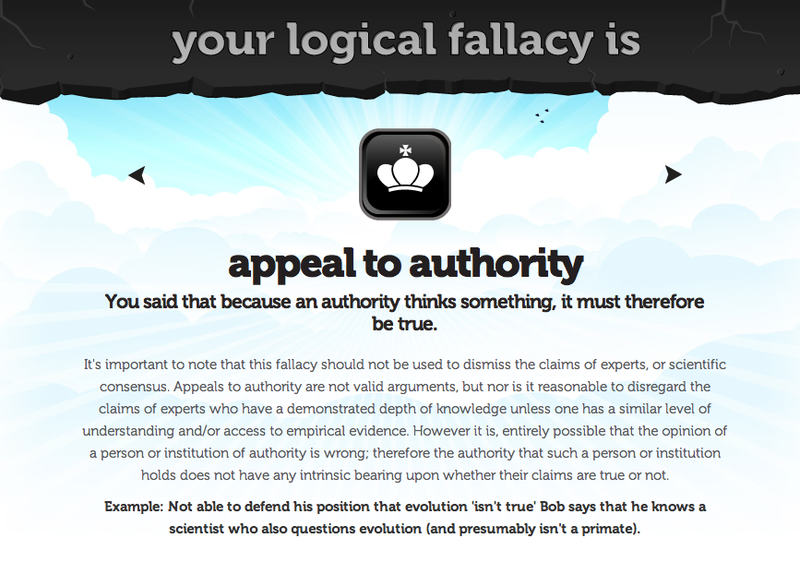 It seems that, no matter the topic – polygamy, slavery, the priesthood and temple ban, scriptural literalism, human evolution, the nature of God, civil rights, interracial marriage, women’s rights and concerns, and most recently, LGBT rights and fellowship within our community – we have to frankly consider the probability that the biases of human, fallible people were peddled as the thoughts and intents of God, and that in each case the agency and spiritual growth of some of God’s children was trampled upon or otherwise impinged by that conflation. 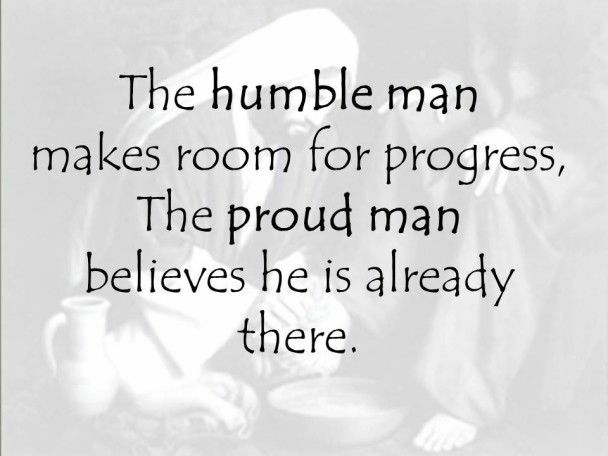 Such a conclusion should compel us to be much more humble and circumspect in our faith claims, but all too often we resort to rigid, dogmatic claims that reduce the size of our tent, becoming, either explicitly or implictly, hostile to those who do not fit that correlated, spiritual template. functioning as one, we must allow for individual spiritual growth and the individual development of spiritual gifts if we are to have a strong, diverse community capable of nourishing and strengthening all with whom we come in contact. Also like the Portuguese man-of-war, we may even need to tolerate the innovations and differentiation of individuals within that community if the community is to evolve with changing circumstances and thus meet the changing spiritual needs of this world. As long as we insist on a rigid, dogmatic, authority-driven religious community, we will continue to lose those whose spiritual needs cannot be met within such a community. we must be realistic about the limitations of our understanding of God and see beyond the insignia and trappings of authority, finding the institutional humility to make room for other ideas. I see that on both sides of so many debates. So much certainty. This is a difference between worshiping religious structure/authority and respecting it. Yes, there are lots of spiritual approaches which could strengthen our Zionic endeavor. When they can be integrated into the body without a selfish agenda and still be receptive to other approaches, good works would result. Church dogma was viewed as conservative/fundamentalist. Liberals called it old-fashioned/restrictive. “there are other ways of believing/doing things that might be better, shouldn’t we be willing to try them? And most conservative members would agree. Changes were implemented. Worship practices were altered and beliefs were suspended. When the effectiveness of some of these changes was questioned, the response was “this is the way it is NOW, and it won’t change”. So the conservative dogma was replaced by a liberal dogma that became intolerant/closed-minded. There were some instances where a successful blending occurred, and most everyone could tell it. Markag, isn’t there also something in D&C 121 that addresses when people get a little bit of authority? 🙂 It is a difficult thing for human nature to handle. We want others to see things precisely how we see them and tend to view other perspectives as in error or, worse, heretical. The counsel given in D&C 121 is, in my estimation, some of the most profound counsel written by Joseph Smith. He often failed to live to that standard, as do we. It is tough. As has been mentioned in other posts, though the Catholic Church has centuries of authority claims in action, today’s Catholic believers are incredibly free to live their own orthodoxy. This is largely because the Catholic Church does not hold disciplinary councils for lay members. The gap between the authority claims of LDS leadership and the expectations for individual members is much, much narrower than it is for Catholics. As a young missionary, I took the Catholic lack of conformity as evidence of the Great Apostasy. Now I envy it. I agree with the OP that we could benefit from embracing a little more heterodoxy. I don’t really see how people “agnostic, deist, liberal-leaning, conservative, and even fundamentalist in their beliefs” can build Zion. They don’t even agree on what it is, let along how to create it. It smacks of a “can’t we all just get along?” I think the answer is mostly yes, they can get along, but they wouldn’t belong in each other’s version of Zion. Martin: Suppose we limit that list to liberal Mormons, conservative Mormons, and fundamentalist Mormons. It seems we effectively have two methods to obtain agreement on issues: 1) One group compels the others to that group’s point of view; or 2) They attempt to persuade each other to their point of view. I would argue that D&C 121 prohibits the first option, leaving us with only the second one. The idea that one group gets to, by virtue of their authority, position, etc., tell the others what they can or cannot believe, flies in the face of D&C 121. So, as I see it, we’re left with the second option as a valid path to seek Zion. That’s not a “can’t we all just get along” assertion. There are certainly limits to what should be accepted, but I would argue that those limits should be fairly broad. As you can see, I’m no fan of Correlation. Cody, I really like this. Martin, Zion is being of one heart and one mind. That prohibits compulsion. You would have to find a way to get people in agreement intellectually and emotionally. That takes patience, long-suffering, and gentle persuasion on all sides. Yes, “so much certainty.” Mormons traffic in certainty. It is the coin of our particular kingdom. Have you noticed that it’s more important to stand up in testimony meeting and declare that you know something to be true than to talk about what you really believe? If we started talking about our beliefs, we might find not only that there is a massive array of beliefs in the Church but also that this diversity makes us more interesting to each other. But we’re so stuck on simply declaring that we’re certain about something that we never really talk about the things that matter—our beliefs. Martin: “I don’t really see how people “agnostic, deist, liberal-leaning, conservative, and even fundamentalist in their beliefs” can build Zion. They don’t even agree on what it is, let along how to create it. It smacks of a “can’t we all just get along?” I think the answer is mostly yes, they can get along, but they wouldn’t belong in each other’s version of Zion.” I think you are talking about “Zion” as something that people have a vision of and then build. Maybe the building process IS Zion. Maybe it just means seeking to build on our common ground and minimize our differences. I can rejoice when an orthodox, defensive, conservative member says something that is more progressive than what they normally say. I would also hope they rejoice when I say something in defense of the church (and there’s plenty there to defend). Nobody is truly diametrically opposed. We just focus on our differences too much.